La Jolla’s merchant community and business leaders from across San Diego gathered together this past Thursday to celebrate the inaugural La Jolla Village Merchant’s Association Winter Gala, a premier event held especially for the La Jolla business community to celebrate all of their hard work accomplished for the past year, and their rightfully earned success. BizX was honored to collaborate with two amazing partners for the festivities; the La Jolla Village Merchants Association, and La Jolla Village Lifestyle Magazine, an upscale monthly publication created exclusively for and about the residents of the La Jolla area. 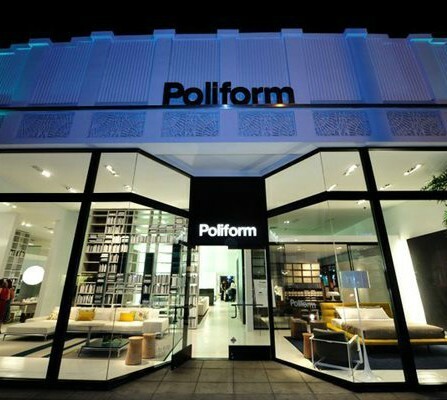 The celebration was held at Ligne Roset and Poliform on Girard Avenue, a 6,000 square foot luxury home environment, complete with unique vignette showrooms, displaying innovative living and contemporary furnishings. The evening was hosted by Master of Ceremony, James Neely, who is also the President of the La Jolla Village Merchants Association. The cocktails flowed, the photography flashed and guests enjoyed the first ever “Jewel Awards” presentation by the Merchants Association honoring businesses and individuals for their outstanding contribution to the village. The entire event from planning to set up to breakdown was coordinated flawlessly by Jen Singer Events, a premier event company located in the Gaslamp district. Guest enjoyed delicious hors d'oeuvres by Neverbland Foods, a unique and health catering experience, and Mimi’s Kitchen, who provides healthy, farm-to-table cuisine. Entertainment including an LED Screen and DJ were provided by Control Entertainment. Wine was provided by Sunce Vineyards, a family winery specializing artisan lots of varietal wines. No event would be complete without a holiday photobooth, provided by Jerry's Photobooth. Finally, we owe a big "thank you" to Coronado Brewing Company for having their award winning coastal beers on tap for the event. In all, BizX gathered the aforementioned San Diego businesses to throw a wonderful and well-deserved celebration for the larger merchant community, investing at least $20,000 worth of products and services from the San Diego BizX community of businesses without spending any cash, but by leveraging our member-owned currency. For BizX, it's our purpose and passion to improve the lives and businesses of our members. It is our belief that when business owners come together to support one another, events such as the Winter Gala become possible. 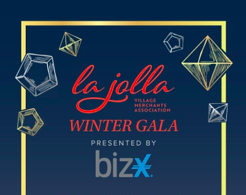 We will continue to foster growth and prosperity throughout the La Jolla community and San Diego at large, and are excited for the second annual Winter Gala!